The apartments are located in several centuries old, renovated house with the status of cultural monuments under UNESCO protection. 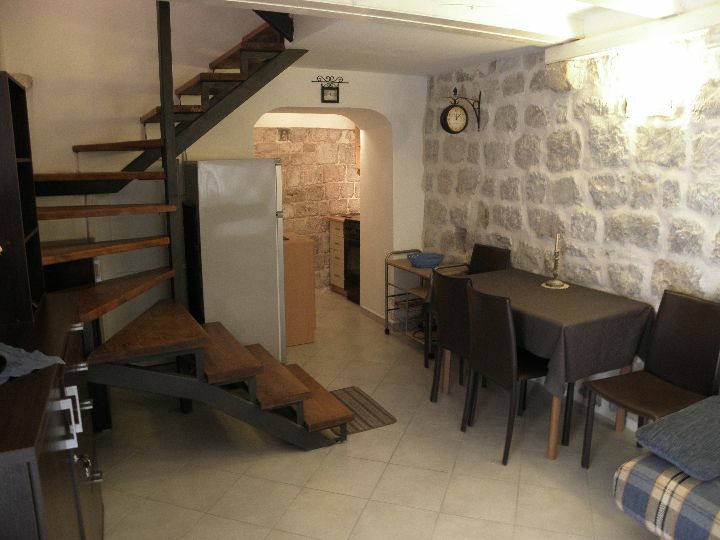 The house is in the center of the Old town Dubrovnik near the city walls and only twenty meters away from a small rocky beach under the walls. 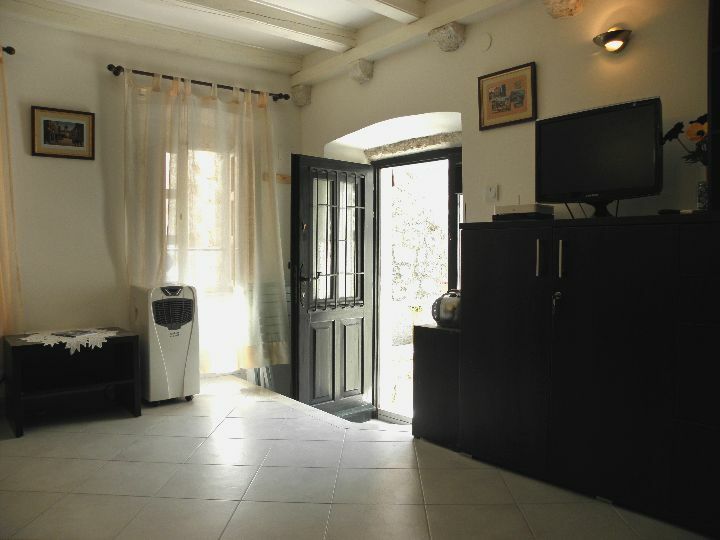 The house is located in a quieter part of town at night (no noise bars), and only a few minutes walk away from the market, shops and restaurants. 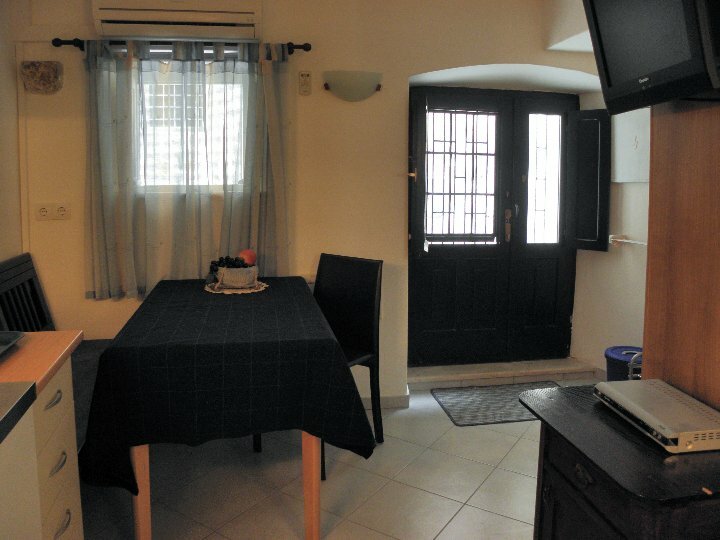 In the house are located two fully equipped apartments (AP1 & AP2) with separate entrances. 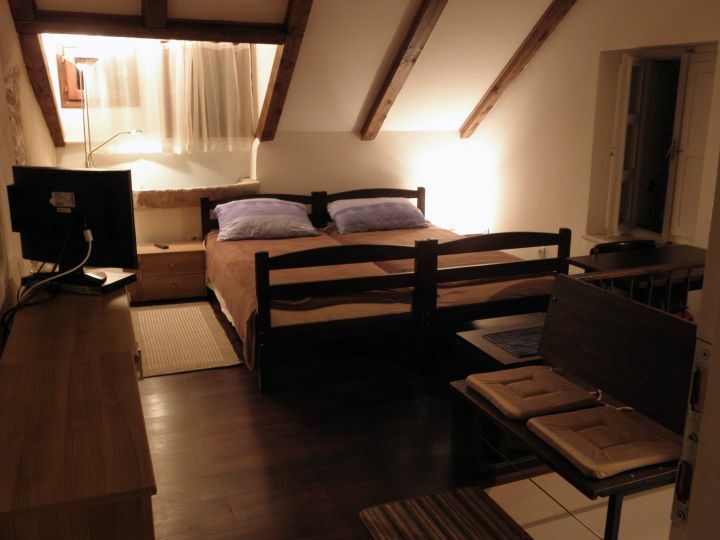 In whole house can accommodate up to 8 persons Apartments can be used during the year. 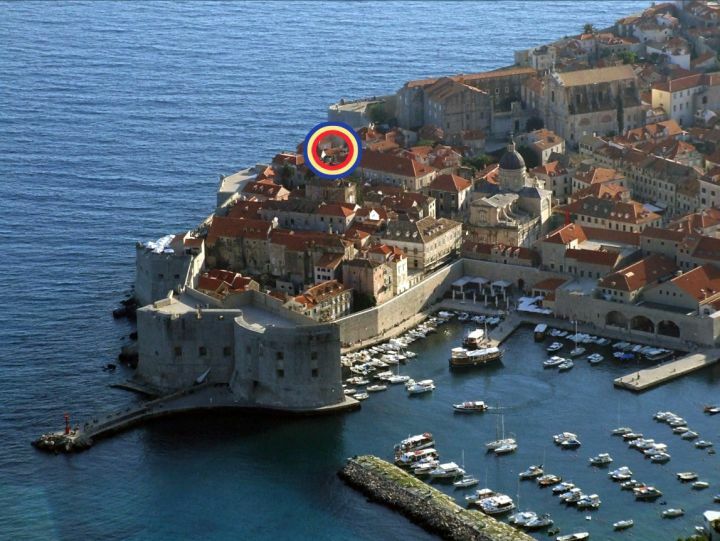 (We recommend you to visit Dubrovnik also out of the high season when is no more summer crowds in the city. June and September are pleasantly warm and the swimming season can sometime extend even to the end of October. For longer stays out of season there is a possibility of agreement on the discount current prices) AP1 **: Studio apartment is located on the ground floor, fully equipped for two people, a small but very functionally arranged. There is space for living and dining area with benches and tables (standard size), a fully equipped mini kitchen, refrigerator, a small oven, air conditioning, LCD TV. In the sleeping area is double bed. 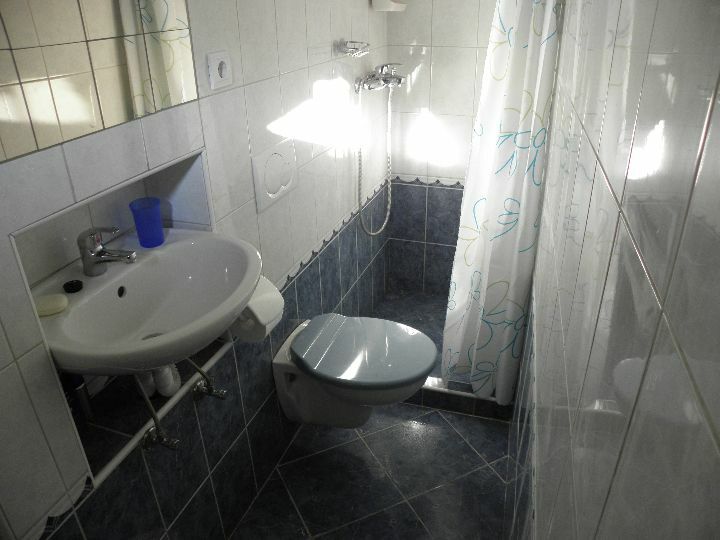 In the apartment you have private bathroom with toilet and bath with shower. 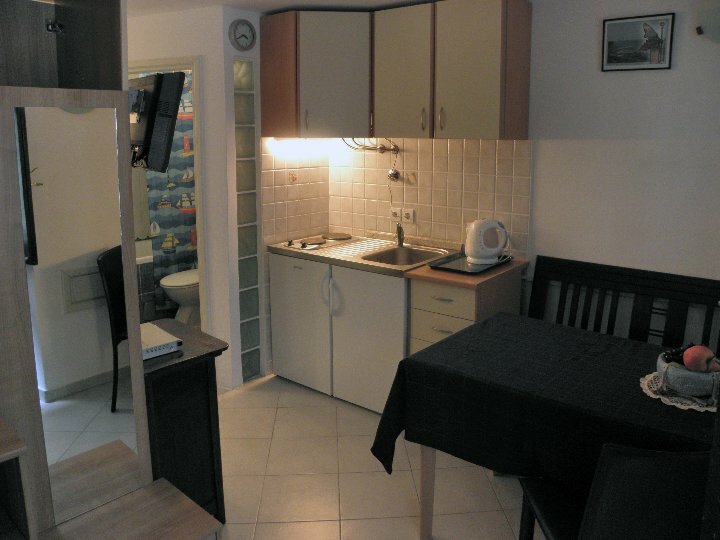 In the apartment you can use Internet access (included in price) In the apartment was smoking allowed. AP2 ***: The upper apartment is on the three floors of the house, and was registered for six (4+2) persons. On the first floor is a living room with LCD television with satellite programs, dining table and sofa (if you need, can be used as extra bed). 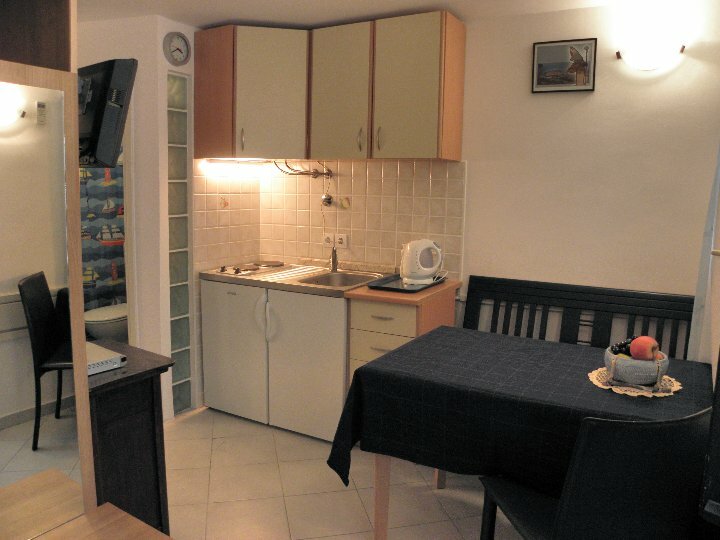 On the same floor is a fully equipped kitchen with stove and large fridge and other accessories. This space is air conditioned. In front of entry door is a small porch with a stone bench for two. 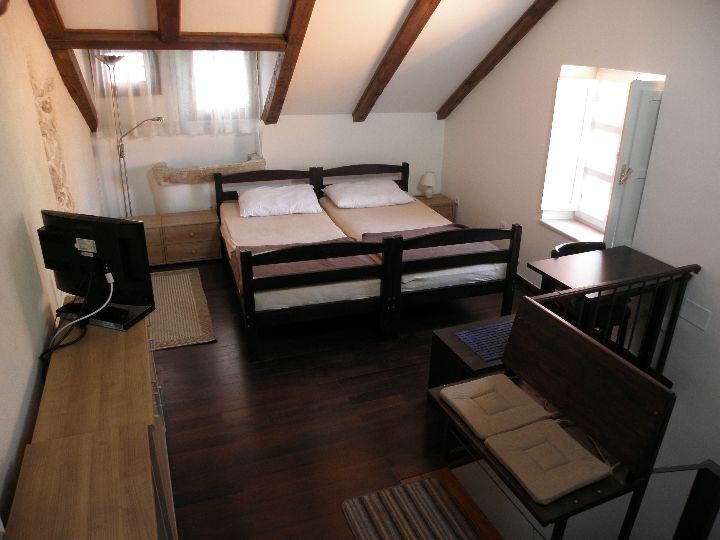 The second floor is a bedroom with a double bed and one extra single bed. 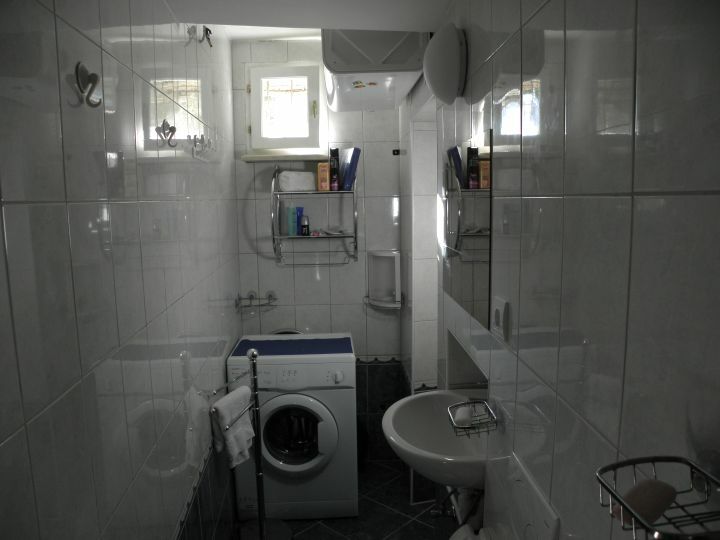 There is a bathroom with shower, toilet and washing machine. 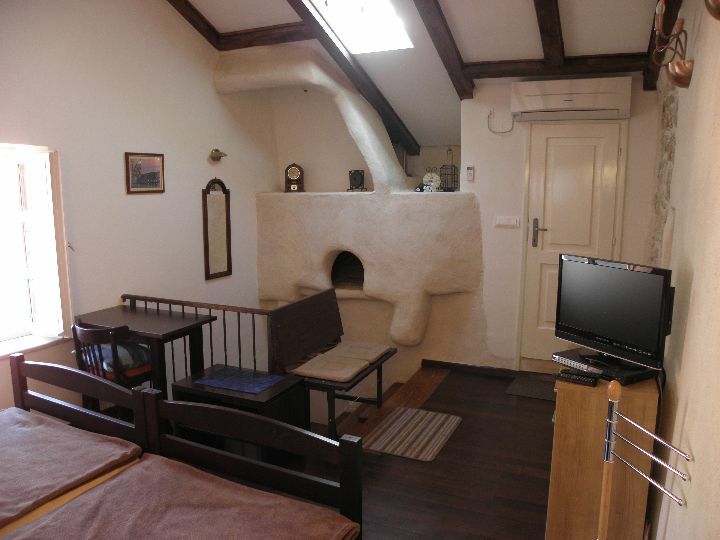 The third floor is a loft with an old large bread oven built into the wall (which is not a function but was preserved as a picturesque relic of the history of the house). Here are two single beds. 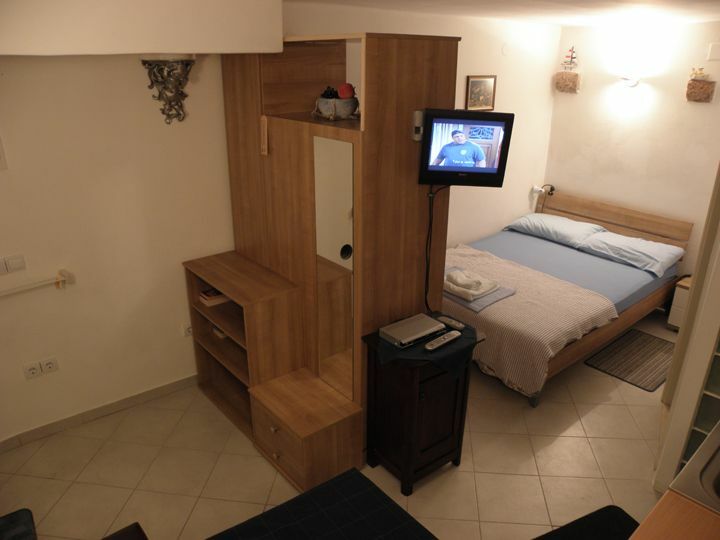 The room is air conditioned and equipped with other LCD TV with DVD player. On this floor there is a second toilet with a little sink for hands or face washing. From this floor is a lovely view of rooftops and the church of St. Ignaz (Jesuits). In the apartment you can use Internet access (included in price) In the apartment was smoking allowed.